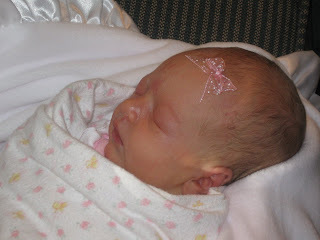 I'd like to introduce the blogging world to our sweet baby girl Ellie Maxine! She was born on September 22nd at 4:42 pm. She weighed 5 lbs. 5 oz. and is 18 inches long! I got a phone call from Rachel's mom on Monday around 11 am saying that Rachel's water had broken during the night and they were at the hospital. Rachel had invited us to be there during the delivery... amazing I know! So I called my mom hysterical that I wasn't ready and I needed some help! 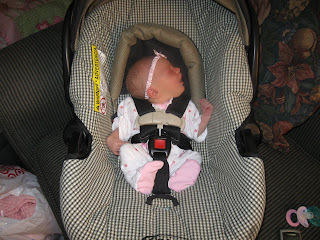 We weren't expecting Ellie until next week and I was a bit overwhelmed. My sweet mom reassured me that we were ready and to enjoy every minute. 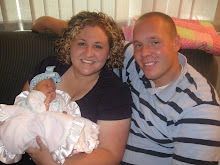 When we got to the hospital we met Rachel's parents and her younger brother and sister. What an amazing family she has!! We loved meeting them and spending some time with them. 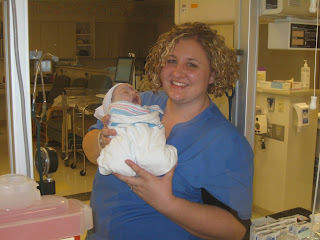 As the day progressed Rachel was given her epidural and then she started on pit. During that time when they checked Rachel we found out that instead of crowning Ellie was trying to look out... face first. After a bit it was determined that Rachel would have to deliver with a c-section. Rachel was not excited about the idea, but Jeremy and her dad gave her a sweet blessing. How incredible that Jeremy was able to be part of that. Now what happened next was the most spiritual and amazing blessing of my life. Rachel was told that she could only take one person with her to deliver Ellie. Jeremy and I were out in the hall and when I came back in Rachel's mom told me that Rachel had asked that I be the one to go with her! I cannot describe how honored I was. Rachel had her sister and her mom there that could have gone with her, I certainly was not expecting it. It all happened quickly for me... 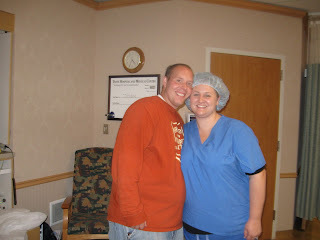 I'm sure not for Rachel, but suddenly I was being escorted to surgery in my scrubs and all. I sat and held Rachel's hand and watched as she brought our baby girl into the world... yes I watched them pull Ellie out!! I don't know how to describe what that was like to be holding the hand of the bravest woman I know as she gave birth to my baby! I've been crying a lot... and that memory will stay in the most sacred part of my soul. Ellie was a bit swollen after she came out, but I was amazed at how fast it went away! Isn't she beautiful?!! 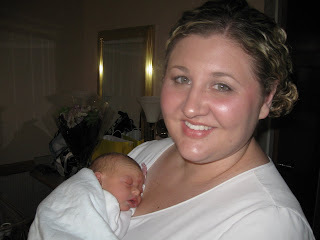 Rachel was so sweet every step of the way, she let me hold and love her. She told me several times that she knew this was right, and that we are her parents. It's an amazing act of love and faith on her part. I am proud to have her as Ellie's birth mother. By the way--- she looks fantastic for having just had a baby. Because of the c-section Rachel was supposed to be in the hospital for at least three days, but today we found out that Rachel was ready to go home and we could come get Ellie!! We rushed and picked up a few things and put together a basket for Rachel and her daughter Alice. 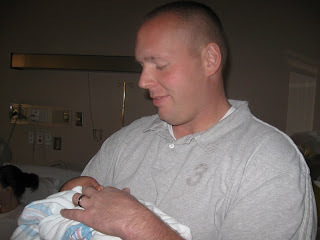 Nothing we could ever do will even come close to repay her for the gift of being parents, but we tried to be thoughtful! We love Rachel so much, I've been asked by several people about the kind of relationship we will have now that Ellie is home with us. Rachel and I have a one of a kind bond. I feel connected to her like no one else in my life, and I felt it the first time we talked. Her and I will be life-long friends, I look up to her for her courage and faith, she has been an amazing example of being Christ-like. Ohhh how we love our Rachel!! There is soooo much more to our story. So many tiny miracles that brought Rachel into our lives and then Ellie. We love her soooo much, she is such a sweet baby. We're home and I just hope I can be a good mommy to her!! Congratulations Jenny & Jeremy!!! Your Daughter is absolutley BEAUTIFUL!!! You already look like natural parents and I just LOVE the glow on your faces in every picture. I'm so incredibly happy for the two of you!!! 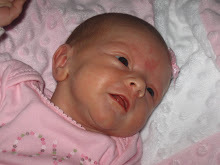 She is so beautiful--I think there's a little resemblence of a Hill/Doxey there:) Welcome to the world of parenthood. Enjoy those sleepless nights, or try too. I wish I were still in Idaho so I could drive on down soon and see your little girl. But thank goodness for blogs. I'll have to call you after a little while and see how things are going for the new Mom and Dad. Enjoy your gift. She is beautiful. Thanks for making my day. Oh she is just gorgeous! How amazing! I am so happy for you guys! You are going to be great parents! I am crying again!!! You are just amazing, Jenny. I LOVE YOU TO PIECES. I cannot wait to see her in person. She is gorgeous and I'm sure more so in the flesh. You guys do have a glow. 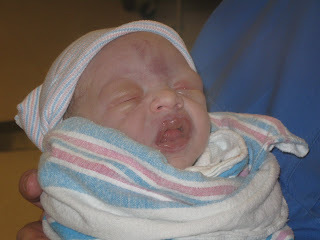 And yes, Rachel didn't even looke like she had a baby. How sweet. Just so you know, I think even those of us who prepare for something like motherhood, when it comes down to it, none of us are really "ready" but you are going to do so well, I know. CONGRATS a million and one times! Thank you for sharing your story and CONGRATULATION!!! I'm so happy for your family...you'll be great parents! We are soooo excited for you!!!! Jenny she is absolutely beautiful!! I am so excited for you guys! We have some friends who just adopted and the relationship they have with the birth mom is amazing and Im glad you can have that same experience!! What a blessing for all of you!!! Best of luck and don't worry none of us know what we're doing either!! Thank goodness for prayer and the gospel!! I am overwhelmed with emotion reading this beautiful story. 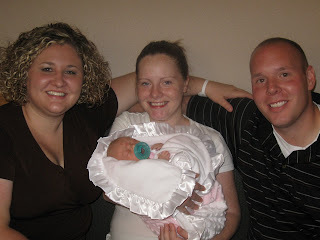 It brought me back six years ago when I met my little girls adoptive parents and those special moments we shared before they got to take her home. Adoption is one of the most precious events that will forever change the course of your life. I am amazed with the strength of your sweet birthmom, Rachel. I pray that through the next days and weeks she will feel the love of our Heavenly Father surround her as I did after placement. What a sweet blessing for everyone involved. She is a doll and just a little peanut! I hope you enjoy these first couple of days with her while you settle into your new life. Treasure every little moment because they grow up way too fast. Congratulations! Jenny, I am so excited for you. I get all teary eyed reading about your little miracle. 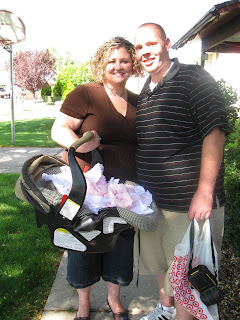 You guys are going to be awesome parents! Enjoy every moment, they grow way too fast. Ellie is beautiful, good luck with everything! What a surprise today! Your Ellie is home! What a wonderful, amazing person Rachel is! She must have so much faith! Ellie really is your little baby girl! Congratulations to you all!!! Yeah! I'm so glad she is here! Ellie must have been too excited to meet you so she had to come early! What a lucky little girl to have you and Jeremy for parents! Enjoy every bit of it! I can already tell you are a great Mommy! No one deserves this more than you! Keep the pictures coming...she's beautiful! ok i am totally balling like a baby!! she is so incredibly tiny and cute! your story is truly amazing! i am so happy for you and KNOW you will be the best mom. 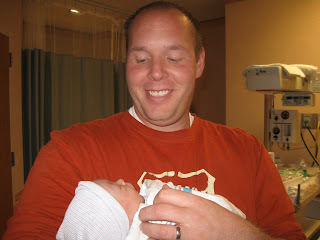 you even have that new mother glow about you in the pictures! i can't wait to see her. And just know that you will get through these first rough weeks of no sleep! love ya! So I have been dying to call and talk to you. I haven't because I know things have been super crazy. Hopefully you got the carseat and I have some other things for you. I am giving you your space-(not that I really want to.) Enjoy every minute of little Miss Ellie and give me a call when you have some down time-(yeah right:) I love ya and miss you. You are beautiful and so is your darling daugher Ellie Bub!!! I am so excited that your miracle is finally here. She is so beautiful!! Jenny...you will be such a great mother!! I love you guys!! She's a cutie! Congrats guys! She is so BEAUTIFUL!!! Your story is so amazing!! Truly what a blessing and miracle in your life!! We're so excited and happy for you guys!!! 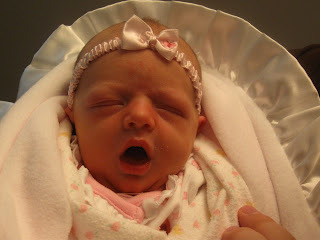 Let me know if you need anything at all for little miss ellie bub. We love your family and can't wait to meet your sweet daughter. Yay!!! I'm so happy for you guys! Ellie is absolutely beautiful & I can't wait to meet her! 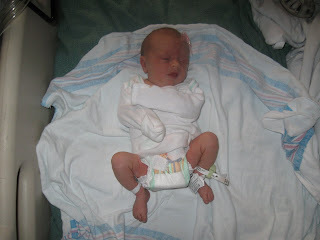 All of my girls were 18 inches and in the 5 lb range so I know how itsy bitsy little Ellie is! Love you so much and miracles do happen, this is proof of that. I know that you are enjoying every minute...even those at 2am feeding time! :) Love ya! Yay!! We're both having girls! They will be roomies in college for sure! haha! She is so sweet and TINY! I hope you are all adjusting and doing great! Please continue to take tons of pictures and post them! They change so fast! I am sooooooooo HAPPY!! You're going to be awesome parents! Love ya! She's so beautiful. Girl's are the best! I hope you get to enjoy every minute of her babyhood! Congratulations to you both! OH jen. she is abosolutely gorgeous. I can't wait to see her in real-life. I am so excited for you guys. Thanks for letting us share in the journey with you. JENNY AND JEREMY...WOW! What an amazing, spiritual journey! We are so happy for you guys. I'm sure you will enjoy every moment. Heavenly Father is watchful of you. God Bless Rachel and also baby Ellie. I will put Rachel's name in the temple because she could use as many prayers as possible. It is the most Christ like gift you can give. She gave you part of herself. She couldn't give any greater. I am so glad that she is here safe and sound, and that Rachel is doing well. Good luck with all the new mom stuff, I can't wait to meet her! I am bawling! Matt just asked me what was wrong I am crying so bad! She is absoluelty beautiful and so cute and tiny! What a miracle, and we just love you! We are so happy for you three! she is so beautiful! what an amazing experience you have had this last month or so. i'm so glad you shared it with all of us. can't wait to see her. and you are going to be an AMAZING MOMMY!!!!!! I am crying right now! Congratulations. Sweet little Ellie is beautiful. Enjoy every minute (I know you will)! She is so beautiful, I am so happy for you and your family. What a blessing a baby can be in your life. Congratulations and keep posting lots of picutres, she is too cute. Seriously, I'm bawling here! I'm so excited for you Jenny! It couldn't happen to better people! I'm so excited for you guys! We should definitely get together when I'm in Utah next month. I'll be there for like the entire month and I want to see your precious new addition! And I know you'll be amazing parents! You are going to be one amazing mom sweet stuff! What an inspiring story...thank you for sharing your blessing! Much love!! by your story. Ellie is so lucky to have such great parents that want her more than any other thing in the world! Your story has touched my heart and I'd love to capture your happiness! Good luck with your journey of being parents. It's a lot of fun! Congratulations! She is beautiful and so are all her parents! What a blessing. Congrats! It is all so very exciting! Treasure every moment! When we were blessed with our baby Calvin a mire three months ago, I was made fun of for the amount of pictures I took (and still take of him), but when you have been waiting for a very long time for a baby, you can't let a moment pass by! I feel the same connection that you explained with our birthmother....so many miracles, so much love. It is just amazing how Heavenly Father blesses each of us! I look forward to watching little Elli grow! Congrats again! I found your blog via my googlereader and I just wanted to say that I too am teary eyed from reading this story! Such a blessing!